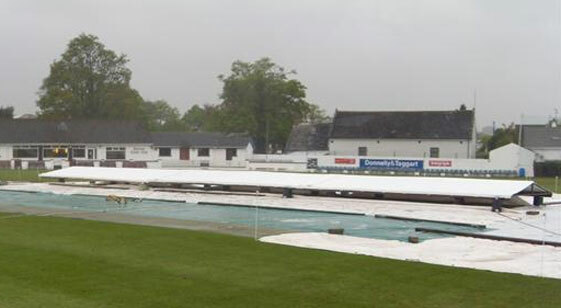 Cunningham Covers made-to-measure cricket pitch covers are designed to give great protection and durability. Covers are made in 450g white reinforced UV stabilised PVC enabling strength and also repairability. Reinforced edges have grommets and grab handles every 6ft or at your own spacings. Also available in translucent 450g PVC which lets more light through for grass. Names and logos can be printed for sponsorship. We can also replace your old frame covers with new ones in heavy duty 650g or 900g PVC in any colour, with your own logo or design. If you would like a cricket pitch cover, submit your details and request a quotation for a cricket pitch cover or give us a call on 028 7964 2638. If outside the UK call us on 004428 7964 2638.